This article first appeared in the St. Louis Beacon: Much is unknown about the Black Rep’s future after losing its Grandel Theater home at the close of the troupe’s 36th year. But one thing’s for certain, according to Black Rep founder Ron Himes. “We will have a 37th season,” Himes said. Himes received an email Friday night from the Grand Center organization telling him they’d sold the Grandel, though not to whom. The Black Rep has performed at the renovated former church in Grand Center near Powell Hall and the Fox Theater for the past 20 years. The Friday night email is one of few details Himes and Grand Center spokesperson Michelle Stevens seem to agree on. The dispute begins with whether or not Himes or the Black Rep board ever received prior notice. “They were informed over a year ago that we had an intention to sell the building and they needed to plan on summer 2013 being the last season,” Stevens said. "Sometimes the talk was ‘sell it,’ sometimes it was ‘renovate it,’" Himes said. "The bottom line is we never received any official correspondence from Grand Center." Update: When Stevens was asked for specifics about how the Black Rep was informed, she replied, in an email, that Black Rep board members were told in a meeting that the Grandel would not be available in 2014. “I wish I was home,” Dorothy lamented in song in the season finale. Like Dorothy, the nationally renowned African-American theater company is also looking for a place to rest. Stevens said Grand Center wants to help the Black Rep find a new home. "The Wiz" closed out this year's season. “We told all the tenants we are willing to help them find other space,” Stevens said. The other locations offered by Grand Center include the Kranzberg Arts Center next to The Fox, the Sun Theater across the street and just west of the Grandel, and a new black box theater in development for 3800 Olive St.
“The journey begins by believing you are already there” reads the Black Rep’s promotional material for “The Wiz.” But Himes is having a hard time believing that any of Grand Center’s suggestions will pan out. He pointed out that the Kranzberg is already home to three theater companies with full schedules and has only 80 seats compared to the Grandel’s 470; that the Sun, scheduled to be ready for use by the Grand Center Arts Academy in early 2014, is available only during winter break and summer; and that the planned black box won’t be completed until 2016. “If they were going to help us relocate, why didn’t they help us relocate before the building was sold?” Himes asked. St. Louis Shakespeare, which typically performs three of its four yearly shows at The Grandel, also got an email from Grand Center Friday about the sale. Artistic director Donna Northcott said she contacted Grand Center early this year about a 2013 contract, and was told the theater was undergoing renovations and would be unavailable for the summer. In recent seasons, the Black Rep has had trouble filling the 470-seat Grandel. It’s currently looking for a minimum of 150 to 200 seats, with 300 an ideal number. Possibilities include Forest Park Community College; the Missouri History Museum; and Washington University’s South Campus, formerly CBC High School, home of New Line Theatre. Obstacles include the inability to build and use sets at the Museum, due to its lectures and other activities that take place in the same auditorium; and Forest Park’s in-the-round construction, which limits the kinds of productions that can be staged there. Most prohibitive of all, Himes said, are the slim slivers of time available at this juncture. “Anywhere we go now, we are looking for somebody to say, ‘We have a window here, we have two weeks there,’” Himes said. 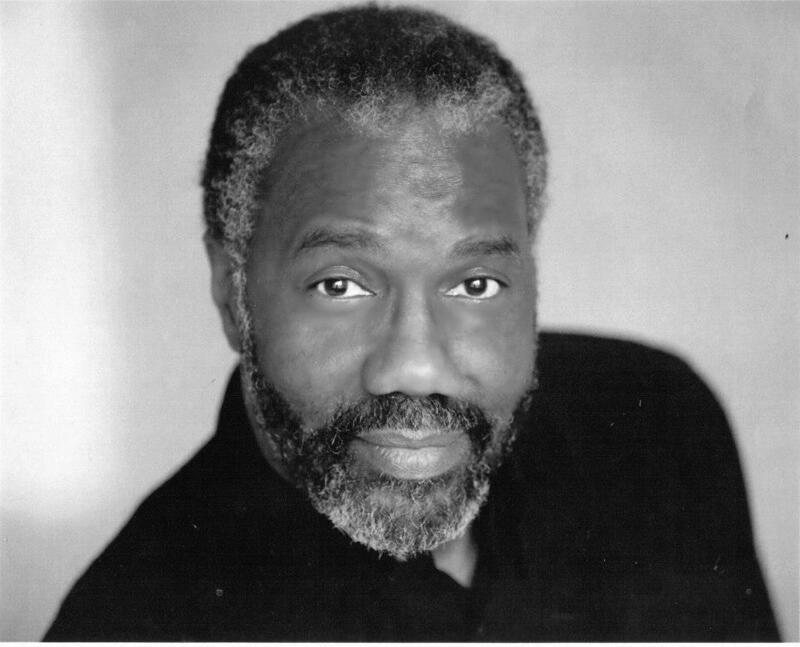 The Black Rep announced a tentative 37th season in “The Wiz” program. 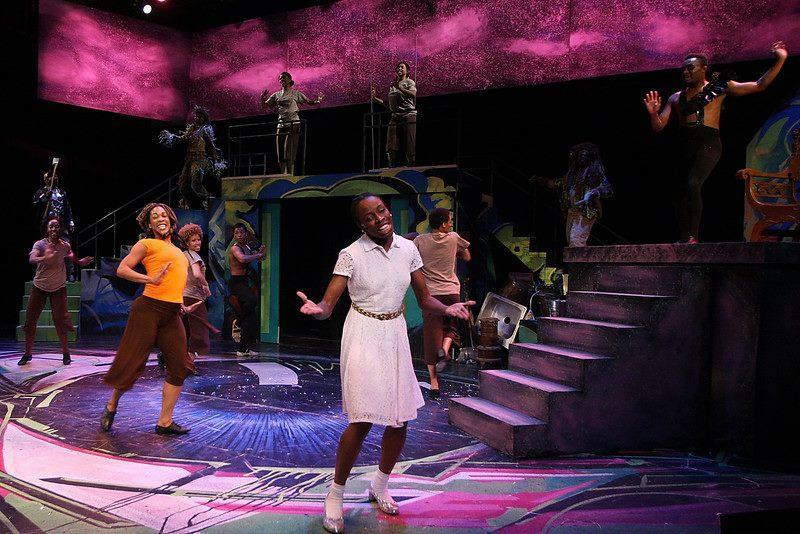 But because the size and configuration of a venue determines the feasibility of producing a specific show, that lineup -- which included the musical “Once on This Island,” Broadway family drama “Sticky Fly” and a revival of “A Raisin in the Sun” -- will be scratched. Normally, by this time, the theater company would have secured rights for the productions, lined up directors and designers, made headway in the casting process, and sent out subscription notices. As to why the Black Rep waited on finalizing its season, Himes said: "We knew The Grandel might not be available. We’ve been waiting for some correspondence from Grand Center." The situation has taught Himes a lesson, he said. While Stevens declined to discuss any contractual relationship between Grand Center and the Black Rep, Himes said they had no long-term lease, and operated this season under a month-to-month agreement, leaving the Black Rep vulnerable. Himes admitted being behind on the rent during the past two years, but said after paying February 2013’s rent, he was told the delinquent rent was waived and the company would have to pay nothing for the rest of this year. Last year, Himes told the Beacon the Black Rep was “looking for a drum major," someone or some entity to invest in the theater company and pull it out of dire financial straits. At the end of last month, separate $100,000 commitments were made by two such “drum majors”: St. Louis’ World Wide Technologies and Centene Corporation, strengthening an already improving bottom line. “A year ago we weren’t sure we were going to be able to open our season, but not only did we open our season, we extended our season -- and we finished in the black,” Himes said. But had the Black Rep been given official word that The Grandel would be sold, benefactors could have further supported the institution, Himes said. Now, any sort of rent-back agreement with the new Grandel owner, whose name is not being released due to a confidentiality clause, would be difficult, according to Himes. “There’s definitely a bad taste now,” Himes said. Confidentiality also prevents Grand Center from revealing whether the facility will continue to be a performance venue. “It is an exporter of great art that is performed, composed and produced by other African Americans who may not have an opportunity to be featured otherwise,” Van Niel wrote. Edwardsville resident, fourth-grade teacher Beth Duncan, 50, has been a volunteer usher for the Black Rep for seven years. As someone who identifies as Caucasian, she applauds the theater company’s ability to reach beyond its demographic. “The Black Rep is the premiere venue to enjoy quality theater performances that appeal to diverse audiences, regardless of ethnicity,” Duncan responded in our online query. Grand Center’s Stevens also praised the Black Rep’s offerings and its mission. Note: Nancy Fowler's daughter is a former employee of the Black Rep.